Have you ever wondered which areas of Denver police usually target for DUI enforcement? If so, a new study has delivered some answers, ranking 30 Denver neighborhoods based on the number of DUI arrests law enforcement officials made in them from January 2012 to October 2014. A new study has revealed where the most DUI arrests occur in Denver and across the U.S. Our Denver & Boulder DUI lawyer takes a look at this study’s findings. Hampden South, with 54 DUI arrests. In contrast, the Denver neighborhoods with the least number of DUI arrests over this period included Goldsmith (20), College View South Platte (22) and Montclair (23). Interestingly, Project Know did not just focus on Denver and other major cities when ranking DUI arrests. The focus of the study was also broadened to rank each U.S. state according to the number of DUI arrests made per state in 2013 (according to data from the U.S. Department of Justice and the Federal Bureau of Investigations). While this study has provided some interesting insights into the rates of DUI arrests across major U.S. cities and the states, researchers have cautioned that these numbers do not necessarily provide the whole picture when it comes to the incidence of drunk driving in a given city or state. This is because the data did not include statistics regarding fatal DUI accidents in which no arrest was made (because the drunk driver was killed in the collision). This fact does skew the numbers, researchers have noted. Are you surprised by any of the findings of this study? Post your opinions about this study on our Facebook & Google+ pages. 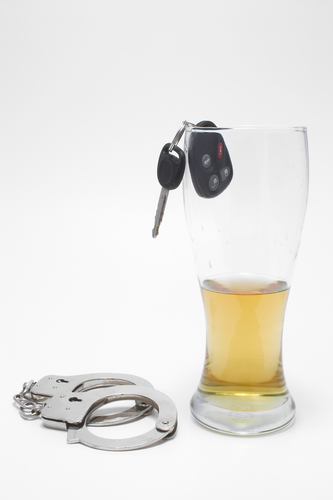 Have you been charged with a DUI or any other criminal offense? If so, you can turn to the Denver & Boulder DUI lawyer at the Griffin Law Firm for experienced help and the best possible defense. With more than 18 years’ experience in the criminal justice system, our attorney understands the complexities of the system, the challenges different defendants can face and the best ways of overcoming these challenges to bring criminal cases to successful resolutions.